Within this section, you will find details of how the healthcare system in Malaysia is set up and operates. Sign up for an IMTJ Country Subscription for access, or login if you're already a subscriber. Within this section, you will find details of how state and privately funded health insurance in Malaysia work. Sign up for an IMTJ Country Subscription for access, or login if you're already a subscriber. Within this section, you will find information on medical tourism numbers, our estimate of inbound and outbound medical tourists (where they can be reliably ascertained) and news that provides estimates of medical tourism activity in Malaysia. Sign up for an IMTJ Country Subscription for access, or login if you're already a subscriber. Is Asia’s IHH now treating the most medical travellers worldwide? Find hospitals and clinics, agents and facilitators, services and other organisations operating in the medical travel industry that are based in Malaysia. The Ministry of Tourism in India has created a Wellness and Medical Tourism Board as a dedicated framework to promote medical tourism and wellness tourism in India. It works as an umbrella organization that governs and promotes tourism in India, by advertising India as a medical and wellness destination. 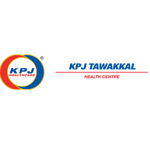 An Award Winning healthcare provider favoured by local and foreign patients, KPJ Tawakkal Specialist Hospital in Kuala Lumpur, Malaysia, prides itself on its renowned experts in many disciplines, especially in Orthopaedic and Rehabilitation Services.